For those with exploded debts and no foreseeable way to pay them off, debt settlement may be something you should consider. Debt settlement usually requires a third party and is when you pool your outstanding debts and they become one fixed payment which wipes you debt down to zero. Income taxes, student loans, and any other creditor who doesn’t agree to the terms are not coupled up with this. Generally though most lines of credit are amenable to this; they would rather have something from you than having you declare bankruptcy and the get nothing. No More Threats: When you’re in debt and delinquent, you hate checking your mail or answering your phone. Going through a settlement means you won’t get any more harassing phone calls or threatening letters. No More Worry: Debt settlement means your conscience will be clear and you can get on with your life. When you are in collections or severely delinquent your credits stop being nice to you. Creditors can issue wage garnishment and file for tax refund seizure. When you do debt settlement all of that worry about what’s coming next, credit-wise, goes away. No More Uncertainty: Another reason debt settlement is a good idea is uncertainty will be gone. If you have a car loan and a car is how you get to work maybe you can work out some kind of a repayment with your car loan company. There will also be no more fear that every penny you make will somehow be slithered out of your hands. Debt settlement means you know what you have to do and what you have to pay to settle these debts once and for all. Uncertainty is stripped away. Chance to Rebuild: Debt settlement also gives you the chance to start over with your newfound knowledge and begin rebuilding your credit. That’s not-nothing in a capitalist economy. 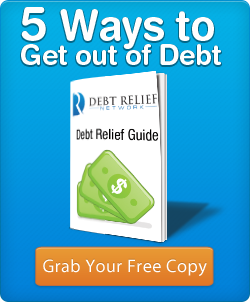 No More Debt: Of course the final most over-arching thing about debt settlement is you will have no more debt. The slate will be wiped clean. You’ll also likely be several years off from ever getting a credit card with any kind of high credit-limit. So your choices in the future will be made with the knowledge today. Remember your future and get connected with a debt settlement company before your debt grows too great!